When it comes to manufacturing, there are various parts that play an integral role to achieve the end product. For example, slurry normally has high water contents in its raw states. It may also get wet during processes like washing or separating. In order to use these materials with ease after a wash, some of the water has to be removed. This allows the materials to be transported at lighter weights, mix with other substances more easily, and better handling all around. Special systems must be used to remove the excess water from slurries containing things like sand, grit, frac sand, coal, metal ore, and other substances. One of the most important components of such systems is the dewatering screen. How do Dewatering Screens Work? These screens are parts of larger systems meant to reduce the water content of slurries. First, the slurry is sent down a steep, declined screen surface. As it passes over the screen, water falls from the mixture and forms a pool. Then, as the slurry progresses through the system, it goes back up an incline. The screens vibrate throughout the process to encourage more water to fall out of the solution. A discharge weir is combined with these systems to absorb water while allowing the desired material – the fines – to continue passing through. Rinsing systems may be stationed along the pathway if a cleaner end product is needed. The dewatering system removes the water used during the rinsing just like it takes care of the water already inherent in the slurry. Coal dewatering screens and other types need to be able to handle the load placed upon them without causing water or other material to fall off the sides away from the intended path. They also need to be able to resist undue corrosion and clogging, and handle heavy loads. When everything is set up right, they should send all of the removed water and other liquids right where they need to go. This prevents environmental contamination and extends the lifespan of the dewatering system. Dewatering screens can be used multiple times. With that said, it is important to make sure you inspect the screens to ensure they are working properly. One of the best ways to get the most out of your dewatering screens is to talk with one of Newark Wire’s knowledgeable and friendly engineers. Once they determine exactly how you use dewatering screens, they can direct you the best type of alloy for your screen. We pride ourselves in being solution-oriented and keeping your needs a top priority. We strive for customer satisfaction and will work with you to create the best product for your operation. 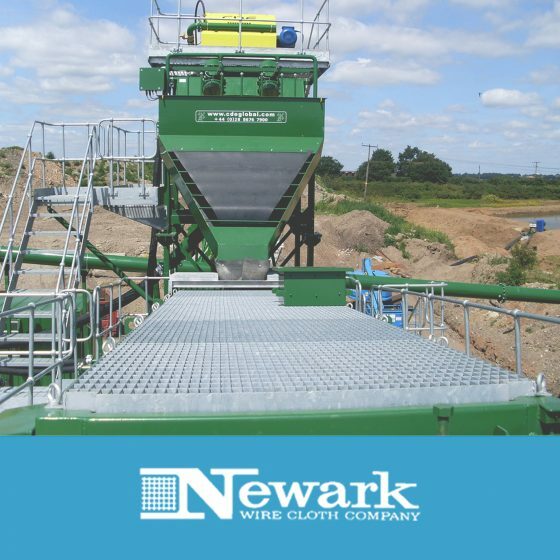 Here at Newark Wire Cloth, we can make new DSM dewatering screens, derrick dewatering screens, and screens for other usages without any problems. Just let us know your specifications and intended usage, and we’ll work with you to fabricate the perfect solution to your needs. Our company was established in 1911, and is a recognized leader in the wire cloth industry. We serve a huge range of markets, including aerospace, mining, petroleum production, environmental, pharmaceutical, food production, and many more. No matter what kind of wire cloth you need or where you need it, we’ll be able to provide it – either off-the-shelf or as a custom run. Give us a call to see what we can do for your business.